Still fighting the holiday blues? We can help! 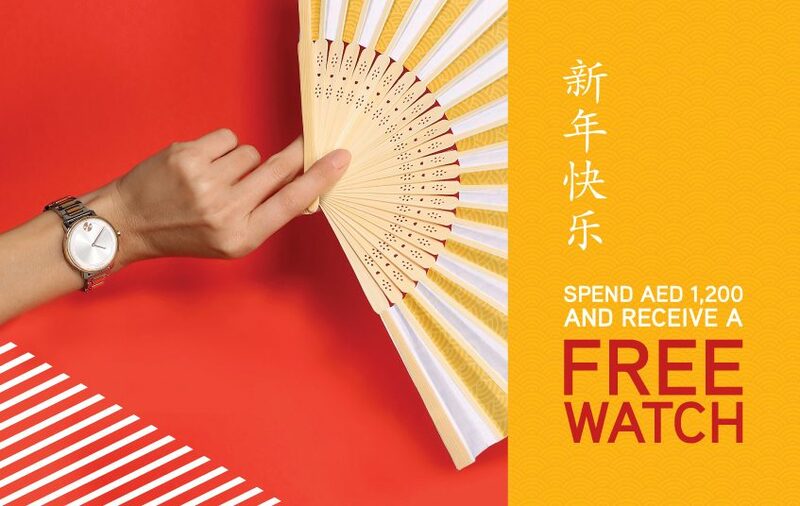 Join us in celebrating the Chinese New Year in style and get a free watch by spending AED 1,200. • Offer is valid in the following stores, Seddiqi & Sons Dubai Mall; Seddiqi & Sons Mirdiff City Centre; Guess Boutique Mall of the Emirates; 1915 Dubai Marina Mall; Guess Boutique Deira City Centre; 1915 Fujairah City Centre; 1915 Burjuman; 1915 Sahara Center; 1915 Bawabat Al Sharq; Guess Boutique Burjuman; Gc Boutique Mirdiff City Centre; 1915 The Galleria Abu Dhabi; and Gc Boutique The Galleria Abu Dhabi. • لا يطبق العرض على منتجات فريدريك كونستانت، تاج هوير ولويس ارارد.